A former Hong Kong politician faces jail time in the US after being convicted of scheming to offer millions of dollars in bribes to African leaders, through contacts made at the United Nations. The maximum penalty for each charge ranges from five to 20 years in jail. Ho, who pleaded not guilty, will be sentenced on March 15. In February 2016, Ho met Sam Kutesa, the Minister of Foreign Affairs in Uganda, who had recently completed his term as President of the UN General Assembly. Mr Ho is alleged to have wired the bribe from HSBC (Hong Kong) account of the energy Non-Government Organization (NGO) to Deutshe Bank in New York on to the account of the Kutesa’s NGO’s account in one of the main commercial banks in Uganda. Kutesa was never charged. 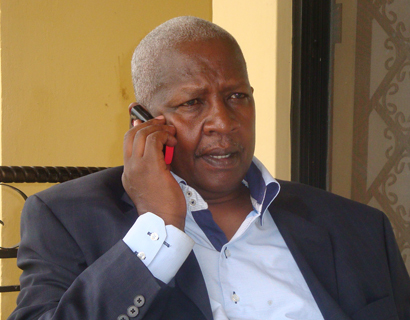 The government of Uganda had said in a statement that it was “erroneous” to say Kutesa was involved. The bribe to Kutesa was reportedly in a bid to secure business dealings in railway services, infrastructure construction, fishing, hydro-energy, banking and finance as well as tourism for the Chinese conglomerate CEFC China Energy Co. Other potential deals for CEFC included; construction of a Chinatown to boost tourism on land near L.Victoria and possibly an island. CEFC also offered profit-sharing through a partnership with the Museveni and Kutesa family businesses. Museveni’s $500,000 bribe termed as “campaign donation” was delivered in May 2016 ahead of Museveni’s swearing in at Kololo ceremonial grounds, never mind that the controversial elections had already been held in February. Before leaving for Uganda and delivering the bribe, Ho asked Kutesa for help with the customs officials in regards to the bribe that was delivered in gift boxes, court heard.